I've been using CityInkExpress' CISS for many years. In the past if I've needed assistance they have been very helpful and easy to contact. I've just bought another system for an Epson XP-452 printer, the video showing how to set up was very useful and it has been the easiest one to install to date. 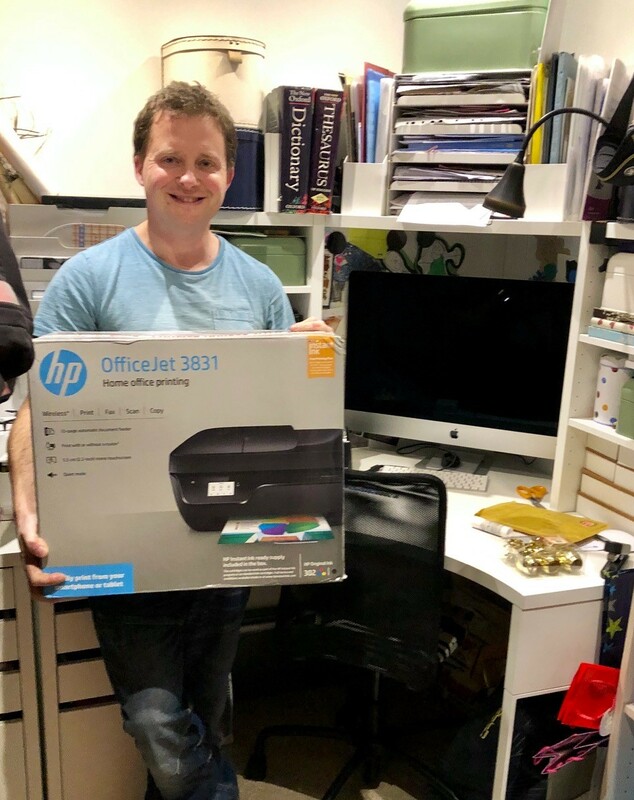 We are proud to announce November's competition winner is Anthony, who won a HP Officejet 3831 Printer. Thank you to everyone who entered November's competition, we will announce this months competition prize very soon! Today we have a fantastic review from Anthony for his Canon Pixma MG7751 CISS. For years I have been vexed every time I had to buy more ink that cost considerably more than the printer itself. This always seemed bizarre and to be honest rather a con. Indeed one day I typed into Google “Is the cost of printer ink a conspiracy?” and was amazed that I wasn’t the only one with this notion and proceeded to read more and more articles. Eventually I was directed to a page that discussed CityInkExpress and its Continuous Ink System and I was intrigued. Surely this was too good to be true, but with the promise of such cheap running costs I took the plunge and purchased the kit for my Canon Pixma MG7751. The package arrived the very next day which was fantastic and after following the instructions online and about an hour later I was up and running with no issues and perfect prints. I can’t tell you how satisfying this product is both in terms of installing it which is empowering, but I am safe in the knowledge that I can print to my hearts content without the dreaded feeling that at any moment a cartridge will run out and I’m left high and dry. I wish more people new about this solution and I will certainly be spreading the word far and wide so others can join the revolution and fight back at the ridiculous monopoly these companies hold over us. Bravo CityInkExpress, keep up the good work. Today we have a fantastic review from Alan for his Epson WF-2750 CISS. I was very impressed by the helpful advice for my CISS and the very fast return service for refills. Thanks. Today we have a fantastic review from Kevin for his Brother CISS. Thank you so much for the prompt, courteous and effective customer support with my Brother printer. I can now print without any thought to cost or contributing to what can only be described as a corporate 'racket'. Creativity is inbuilt into all of us, not printing your ideas because of ink costs is quite simply unacceptable. The look on a child's face when they cannot print their ideas, drawing or pictures because of ink cost is not a good look! Thousands of pictures stored on data sticks that can now be printed for a 'real' feel without having to break the credit card. Keep up the good work you may be assured of my continued custom and recommendation to friends and family.